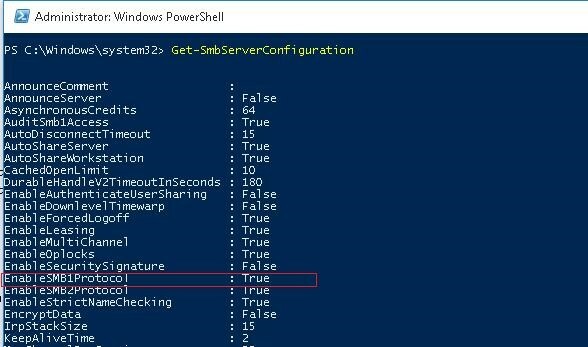 By default, SMB 1.0 support is still enabled in Windows 10 and Windows Server 2016. In most cases, it is required to the legacy systems, such as no longer supported Windows XP, Windows Server 2003 and older OSs. In the event that there are no such clients left on your network, it’s better to disable SMB 1.x or remove the driver SMB1 completely. 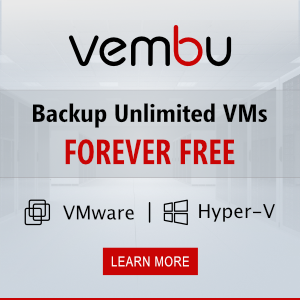 Thus, you will secure your network against a lot of vulnerabilities inherent in this outdated protocol (that was once again demonstrated in a recent attack of WannaCry and notPetya), and when accessing SMB shares all clients will use new, more efficient, secure and functional SMB versions. In one of the previous articles, we showed the table of client- and server-side SMB version compatibility. According to the table, old client versions (XP, Server 2003 and some *nix clients) can access file resources only using SMB 1.0. If there are no such clients in the network, you can completely disable SMB 1.0 on the side of file servers (including AD domain controllers) and client stations. 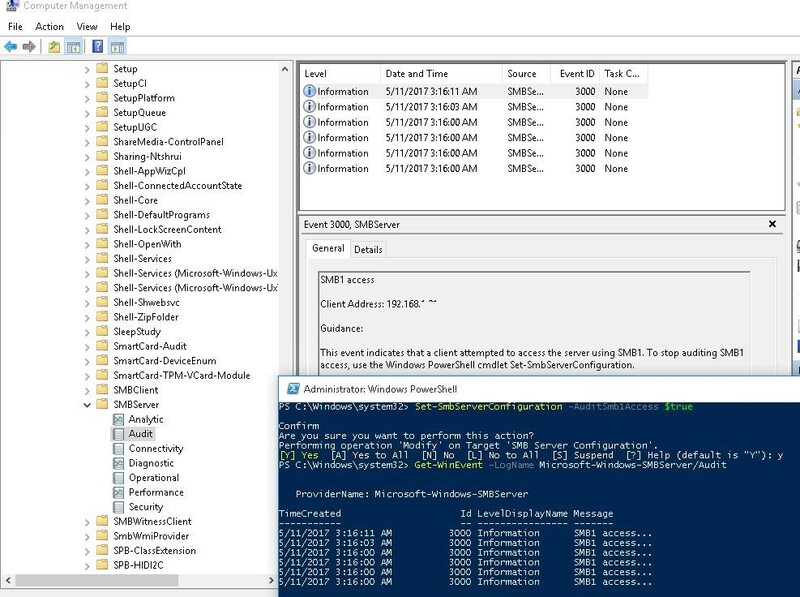 In some time examine the events in the log Applications and Services -> Microsoft -> Windows -> SMBServer -> Audit and see if any clients accessed the file server over SMB1. In our case we’ll ignore this information, but you should bear in mind that later this client won’t be able to connect to this SMB server. 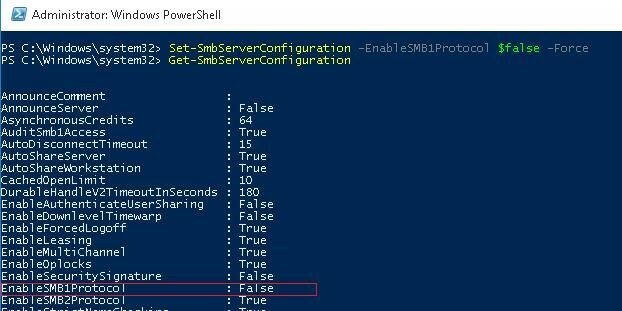 SMB 1.0 can be disabled both on the client-side and on the server-side. On the server side, SMB 1.0 provides access to SMB file shares over the network, and on the client side, it is needed to access these resources. As you can see, the value of EnableSMB1Protocol parameter is to True. And using Get-SmbServerConfiguration cmdlet, make sure that SMB1 is now disabled. Just reboot your system to make sure that SMB1 support is completely disabled. If you disable support for SMB 1.0, you will be able to protect your network from all known and still not found vulnerabilities in it. The last significant vulnerability in SMBv1, which allows an attacker to remotely execute any code, was fixed in March 2017.